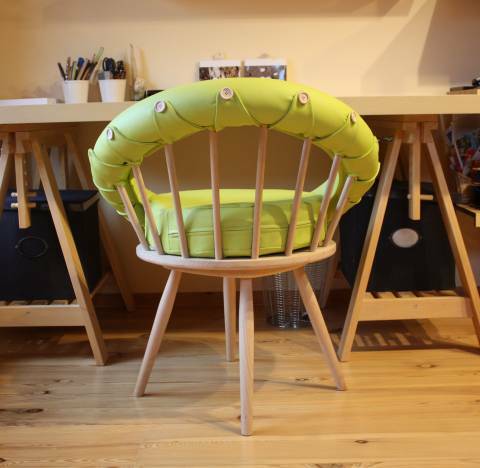 Domestic office chair connecting the idea of the traditional structure of a Windsor chair and modern, unconventional upholstery in range of vibrant colours. Buttons Up! is comfortable and visually appealing at the same time. 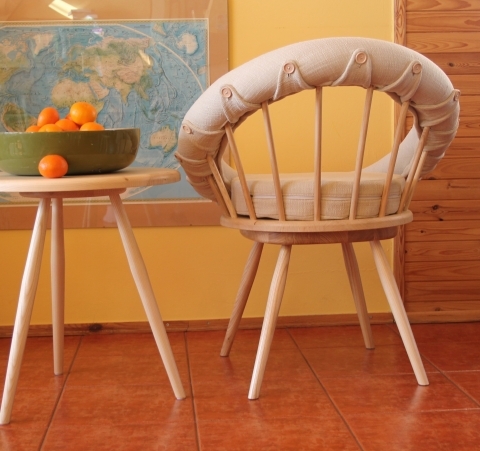 The turntable included within the chair’s structure, enhances comfort and provides user with more freedom while using. Washable upholstery adds modern look and aesthetical value to the piece. 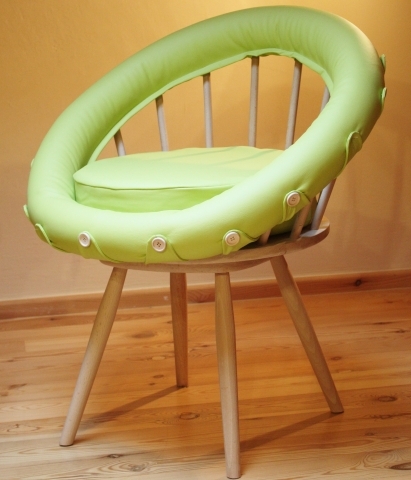 Attached to the backrest with buttons, is easily removable. Clear wood oil, ash, washable upholstery.